Like a Polaroid snapshot, this finely wrought collection of short stories gives us a brief glimpse into the quirky and complex lives of rural town inhabitants. As the characters struggle to define their individuality and reconcile their ideals with ordinary life, we are witness to their unique self-discoveries. At times mournful and haunting, this story collection celebrates the nobility of simple life, of striving and failing without ever losing hope. Eliot Treichel is a native of Wisconsin, who now lives in Eugene, Oregon. He has an MFA from Bennington College and now teaches writing at Lane Community College. Eliot also works as a freelance writer, and is passionately committed to having a personal influence on his local literary community. His work has appeared in "Beloit Fiction Journal," "CutBank," "Passages North," and "Southern Indiana Review." 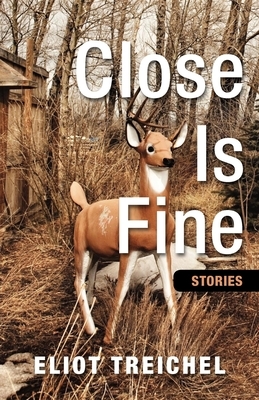 "Close is Fine" is his first novel.